Don’t have a number to transfer across? Looking to create a local presence somewhere else. No problem - we have over 250k virtual phone numbers to choose from! 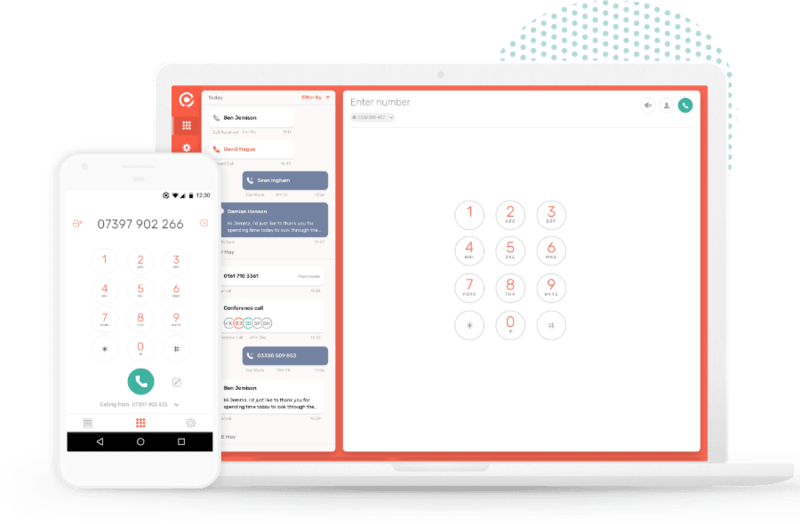 No matter where you’re based you can add UK 01, 02, 03 & 07 phone numbers in your CircleLoop app, then dial-out and receive calls instantly. Any number you add is ready for use immediately with no activation waiting times. International numbers are also available instantly, on request. 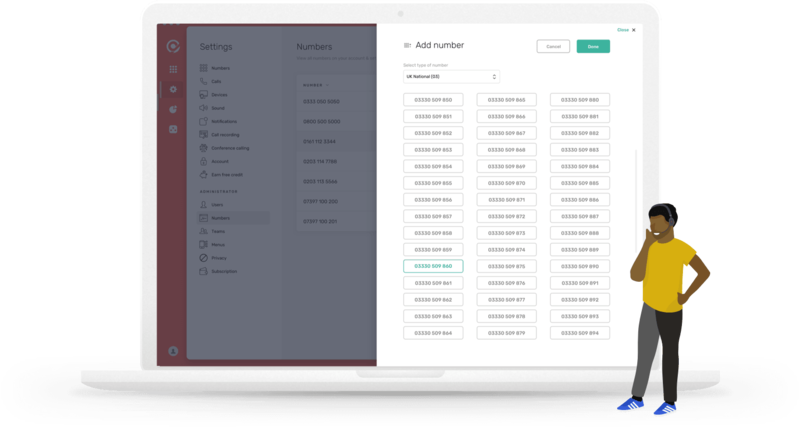 It couldn’t be easier to add phone numbers to your CircleLoop business phone system. Simply go to any of our apps, select the number you want, choose who will answer the calls and it’s ready to use. Our 01, 02, 03 & 07 numbers start at £2 per month, with no contract. Looking for something a bit more special? We also have over 50k Gold numbers available, starting at just £30 up front. Want to reserve a range of consecutive numbers for your team? Just get in touch and we’ll show you the options.